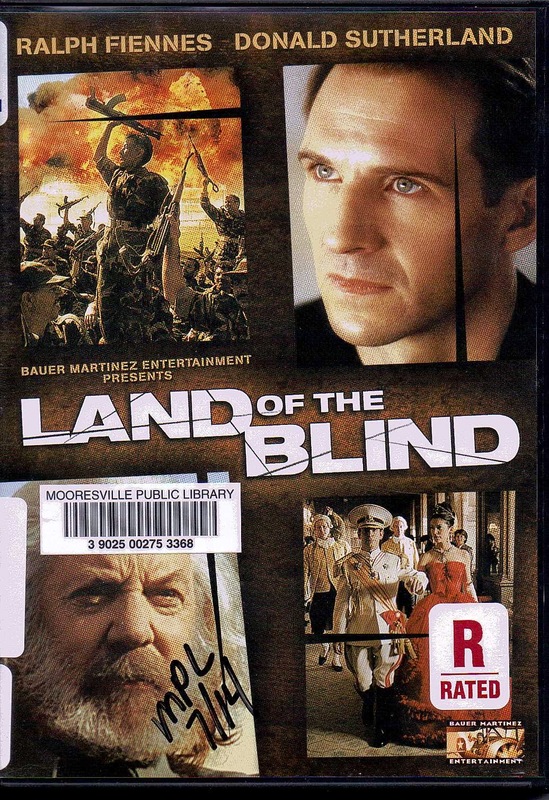 Ralph Fiennes plays a freedom fighter named Joe in this film about failed revolutions. Joe tells the story of a man named Thorne; played by Donald Sutherland. Thorne was a terrorist who was jailed and tortured for his crimes against the state, which only served to make him a hero to his countrymen. Joe; who has seen the brutality suffered by Thorne; is recruited by the terrorist for a coup to overthrow the tyrannical government for which Joe actually has been working. But Thorne proves correct the old adage that violent revolution does little more than to replace the corrupt regime with another corrupt regime. This leads to a cycle in which Joe must now overthrow Thorne. This was an excellent script, with superb acting. The only thing which could have been better about this film is the direction. The movie seems to drag in spots where it should be getting the audience pumped up; or even angry. There is so much to like about this film; two veteran actors in roles that are deep and meaningful. Perhaps that is what kept me watching the film all the way through. This film is worth watching; even just to reinforce the lesson that sometimes the devil you know may the same as the devil you wish for. One caution before watching the movie; don’t let it spoil your revolutionary spirit.